To find opportunities to generate leads using the LinkedIn platform you might need a mind shift. I continue to get people asking me if they should accept invitations from people they don’t know and even some experienced LinkedIn users tell me they don’t accept invitations unless it is someone they know or connected to through someone else. The platform offers many opportunities to say YES if we are open to asking the right questions and digging deeper into someone’s LinkedIn profile. Unfortunately, there still are people who lack the more advanced skills to use LinkedIn effectively and strategically and of course I mean this starts with the all- important personalized invitation. If you don’t send a personalized invitation letting people know why you are connecting you have already started off on the wrong foot. As a professional you have heard that first impressions matter and yet I am amazed when I see people who obviously don’t care exhibited by their actions. When it comes to social networking it is even more important than ever because people will make a judgement about you ever before you meet and that includes whether or not they want to meet you! As I mentioned in my article on Professional LinkedIn Lead Generation Tips, the first thing people see on your LinkedIn profile is your name, headline and picture. People judge you on first impressions like it or not, so getting this step right is imperative to the next steps in LinkedIn lead generation. Technology has given us the opportunity to meet so many more people than ever before. At the same time, I often ask people what they do with all those connections? Most people are name collectors and rarely follow-through making the connection ‘real’ and yet if you think more strategically it is possible you are only a connection away from who you want to meet and do business with. If you are networking strategically, then at some point in your relationship building process you will want to take the relationship offline and to the next level. 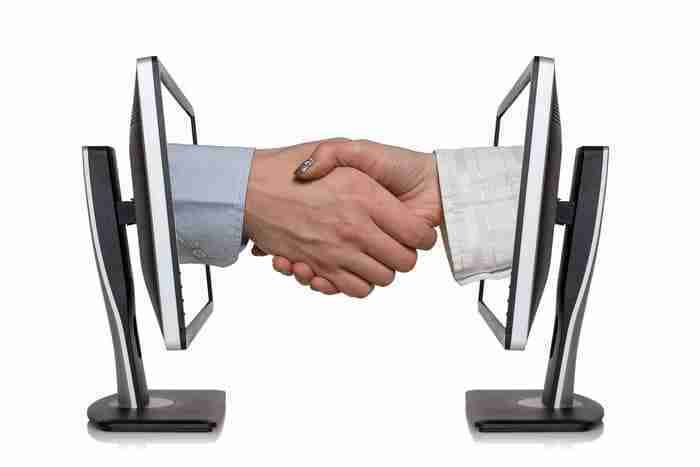 Offline can be face-to-face meetings and it can also mean setting up a phone or Skype conversation. The more personal the better for getting to know someone. I want to share a personal example to illustrate how this works for me. I accepted an invitation from a professional woman in the Napa Valley region of California last winter. She sent me a customized invitation and we engaged in several communications about a myriad of topics. I enjoyed our communication and was happy to have her in my network and someone with whom I would network with in the future. Approximately four months following our connecting on LinkedIn, I decided to take a trip to California and Napa Valley was on the agenda. I sent my contact a message letting her know I was going to be visiting and invited her to meet for a cup of coffee. We did meet, had a great visit and she made some personal recommendations for my trip which totally added value to my experience and we parted ways as I went back to my vacation. Shortly thereafter, she reached out seeking to hire me for some work which was totally unexpected. We had not talked about it specifically. The point I want to share is that I did make the effort to meet, learn more about each other and build some authenticity and trust. Saying yes is a consistent process that has garnered both business and new friends. •	81 percent of business professionals believe face-to-face meetings are better for building long-term trust and ensuring strong client relationships. If you plan to attend a conference and there are a couple of the speakers you really want to meet, send them a personalized invitation to connect. Let them know you are attending the conference and looking forward to hearing their topic. Mention something about the topic that is of interest to you – get personal. Engage with the persons posts prior to the conference and I don’t mean stalking them! Share their posts with your network for example. At the conference introduce yourself after their presentation and thank them for the content and for accepting your invitation to connect on LinkedIn. In a similar way as described above find people who are likely to attend the same conference with whom you might like to meet in person. After you confirm they are attending offer to set-up a coffee or lunch meeting. You will probably be surprised who accepts your invitation. 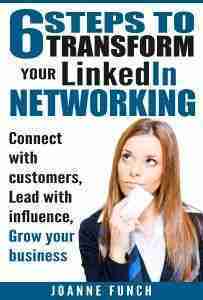 In person networking is often a lead generation strategy many professionals do in their local cities. Initially you are trying to decide if a group is a good fit for you – right? Why not look up a few of the members and connect with them ahead of the next meeting. Ask how they like the group, how it benefits them, perhaps ask for other introductions and then when you do attend the meeting it isn’t quite so cold. If you do and are impressed with the interviewer or interviewee, then send them an invitation to connect, let them know you heard them on the podcast, mention something in the interview that specifically caught your attention and let them know you’d like to connect and learn more. I have been interviewed on podcasts and have had many people reach out to me after listening to the session. If you are truly knowledgeable someone from their blog, you might want them in your network, Be sincere and authentic in your invitation. Follow-up with meaningful questions and comments and you are probably well on your way to a great new relationship. The more value you can deliver to a relationship, the more you build trust. Always have the mind set of “How can I give” Versus “What Can I Get.” This mindset takes time and persistence but can pay big dividends when there is an opportunity to do business with you or make a referral. I believe there is nothing better to solidify a relationship than a hand shake and meeting eye to eye. Technology might get us there, but it is the human connection that builds the bond. People do business with people and the more we connect on a human level that’s really what we all want. As a business strategy, I speak to professional groups and organizations delivering content that the attendees can take action on right away. That is delivering value. The goal is to build my know-like and trust factor and generate leads for my services. 4. If they are posting status updates and/or publishing posts – share their articles to your network and preface with a comment about what is over value in the content you are sharing. Before saying no and ignoring the next LinkedIn invitation you get, take time to read the individuals entire profile, look for what you have in common rather than looking for ways out. Being open and saying YES can bring truly enriching experiences often it comes down to asking the right questions. Win in business with the benefit of using LinkedIn to leave your brand mark, not just to “do marketing”. Our LinkedIn Services take advantage of all the professional ways to say “yes” to the right opportunity to generate leads.